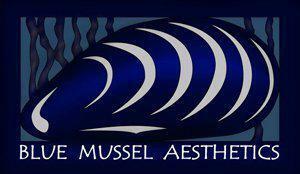 Blue Mussel Aesthetics always appreciates feedback from our valued patients. To date, we’re thrilled to have collected 12 reviews with an average rating of 4.83 out of 5 stars. Please read what others are saying about Blue Mussel Aesthetics below, and as always, we would love to collect your feedback. This last time was good. But this is my second time going to get hair removal the first five section did not take. Rebecca is amazing, I will wait months to get an appointment with her. All the ladies are professional, caring and just plain awesome! No matter which treatment option I chose they always advise me of which products will give me the results I am want. They are never wrong. Wonderful experience everytime I visit. The staff is friendly and professional. Highly recomended. We are so lucky to have such a beautiful and professional facility in our little town! Pleasant experience in a professional setting. Always very thought full and love blue Mussel. I would not go anywhere else. Lynn is a talented and friendly medical spa technician. I always have a pleasant visit, feel prettier, and my self-care regimen is now shorter because of laser hair removal effectiveness. The best part of my trips to Juneau. Love this place.